Breaking the Bank: Are You on FISHIDY?? Good afternoon folks and welcome to Fall 2012! I hope your lines are tight and you're breaking those banks! I wanted to ask all of you if anybody has heard of Fishidy.com? It's a great fishing social networking website with amazing detailed fishing maps and other outstanding features. It's a great place to meet new fishing friends, hear their experiences, tips and tricks. 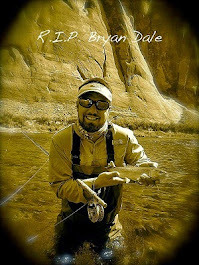 I have really enjoyed creating my profile, making updates, and the detailed fishing maps are fantastic. This is now my main website for locating new fishing spots. So from one fisherman to another i HIGHLY recommend that you check out "FISHIDY" and feel free to add me as a friend. Have YOU heard of fishidy or are you on fishidy already? I tend to steer away from these kind of sites. All you have to do is look at Imhooked.com or the FishSniffer site and all you see is one guy catches a fish and 35 guys go Yehhhhh. I did take a look just in case.